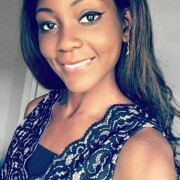 My name is Vicky and I am a final year Pharmacy student at the university of Wolverhampton. I moved to England at the age of 19 from Ireland. However I grew up in Germany, and moved to Ireland when I was 15 years old. As a result I am a fluent German speaker. I am passionate about helping people in general, hence working as a support worker for over two years. However, being able to give back to students with the skills I have, would truly be satisfying. I am a warm and approachable person by nature. I am also a patient person. I like to teach with enthusiasm, and at the same time motivate students to do better.